America has a favorite pie recipe and it is called Shepherds Pie and in this cooking game you will surely learn how to prepare this delicious meal. All the ingredients are set and you will just have to prepare it and place it in the oven. Welcome to the greatest circus of all. We are all here today to see a great show. One of you is a lucky person, because we will choose somebody to help us feed our animals, so you will know what actually happens behind the scenes. So get tight, and see if you are the lucky one! This is unbelievable! You were chosen to help the circus guys! This is a lifetime opportunity for you, so If I were you I would get started to feed this amazing circus animals! Good luck! Learn how to cook spaghetti in your own kitchen. Homemade pizza is using an italian recipe made with usual ingredients that everyone must have in its own kitchen. Get ready to start cooking a great dish with pasta and meatballs. Show your cooking skills and learn a new recipe to impress your family! Babies love to play in the bathtub and you will take care of this little happy boy, making her bath to look and feel like a playground. Washing the baby with lots of toys will make him happy and you will get a clean boy :). Funny Baby Bath is all about turning a normal baby bath in a funny game for the little one. 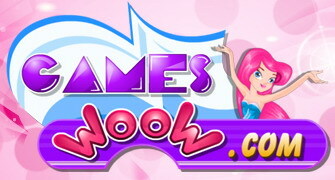 Hey girls, in this new dress up game for girls you will enjoy another great fashion session. Make this nice girl look fashionable by mixing different clothes and accessories. Don't forget about the hair style and color, also select the shoes you think will fit most for your clothes suite selected. Use your fashion skills and make this cutest girl looks perfect today, for another shopping session with her friends. Have fun. As kids we all loved the policemen as they wore the cool uniforms and protected the citizens, but now you will find out that it is even more fun to drive around in an off-road vehicle that you can find in this awesome police-car game. New York is a beautiful city and you will get to bake some cupcakes in this cooking game. Once the ingredients are mixed, place them in the oven and they will grow into these beautiful desserts that you can serve with your friends. Barbie loves sweets so today she will be cooking a glittery cupcake. All shiny items are Barbie's favorites so get ready to create the most glittery cupcake of them all. She is using gold decorations, flowers and tasty cream to make this delicious sweet. Put on your cooking wear and you chef hat as in this cooking game you will prepare one great meal called Pineapple Fried Rice, inspired by the Asian cuisine and you will need to follow the few instructions given to make sure that it ends up just perfect. 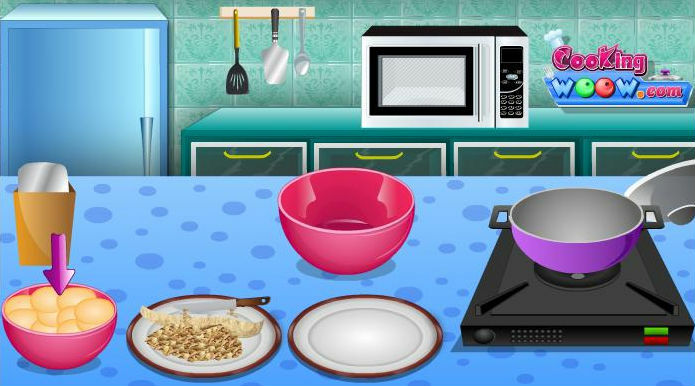 Test your chef skills in this cool cooking game as the challenge is to bake some awesomely tasting cookies that anyone will love to get their hands on the recipe you will use. The Bratz doll is cooking a fascinating glitter and diamond filled cake for her friends. 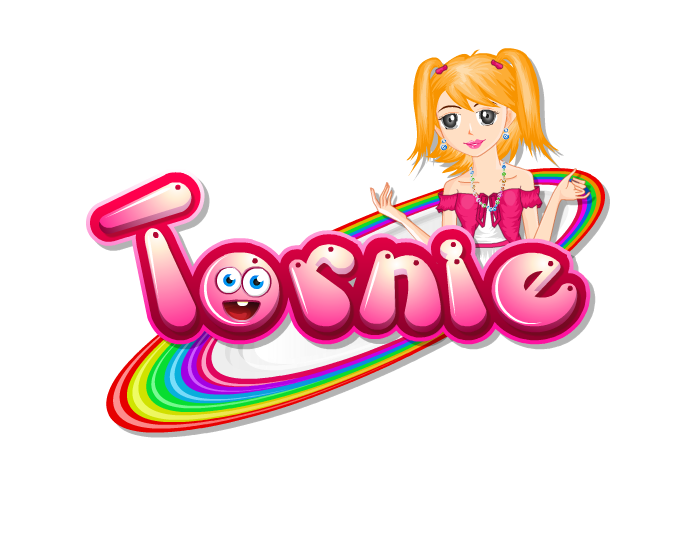 Help her be a cake chef for a day and use your imagination in this beautiful cakes game to create a glittery masterpiece. Use colored cream, eatable glittery decorations and eatable fashion elements, like a true bratz girl. Check out this cool car game in which you will be driving an awesome monster truck which has a cool nitrous system which you can activate as much as you want. Or until you deplete the whole bottle. Layla got a very cute puppy for her birthday and she is very excited about it. In order to keep it she has to take care of it and make sure he is always fed and washed. Can you help her to give the dog a fashionable makeover? wash, brush, dry the dog and make him look stunning. Enjoy! Winter is the best season of the soups. Every day is a cold one so a healthy hot soup is always welcomed. If you have never cooked a tomato soup before, now is the perfect opportunity to learn how to make it. This winter will be a long one so you should be equipped only with healthy food. All you need are some vegetables, some bacon and of course few minutes. 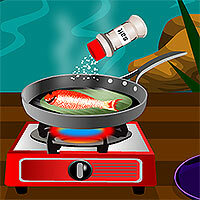 Pay attention at this game and in the next minute you will be your own talented chef. Enjoy it! Nothing is more pleasant for your skin than to be clean, hydrated and glowing. Right girls? Along with massage sessions, facials are the most searched and popular for SPAs clients. These types of treatments are designed to deeply cleanse your skin, giving it radiance and firmness. In this game for girls you can learn how to make correct facials treatments. Follow the instructions in the game. Hey girls, today we present a great cooking game for girls, Grilled Fish With Lemon. You will learn how to cook a delicious and very healthy food. For fish lovers, this game will be exactly to their taste. First, you will need to prepare the sausage, mixing the butter, lemon juice with salt and pepper. Carefully place the fish on the grill and wait until is fine cooked. Put the boiled spinach on a plate, on the spinach add the grilled fish and decorate with sausage. Will be very tasty. Good Luck. Do you love lamb dishes ? Never had the chance to cook a special , traditional dish ? Now you have the opportunity because we provide you with one of the best lamb recipes with risotto. Cut the lamb , add ingredients , fry it , prepare the risotto and serve it to your friends or family. Have Fun! Now it's time to take a bath to this cute baby using all the washing tools you have. You can use a lot of sponges and shower creams. After that you can dress up the baby, but don't forget to dry his hair with the towel or with the hair dryer. Sophia is getting married in few months and she wants to learn how to cook before her wedding. She took few cooking classes and she is a fast learner. For today\'s cooking lesson she is going to learn how to make bangers and mash. Can you assist her and make sure she makes the recipes right? Follow the recipe instructions and add ingredient by ingredient according to the recipe. Enjoy!